That statement couldn’t be any truer when it comes to No. 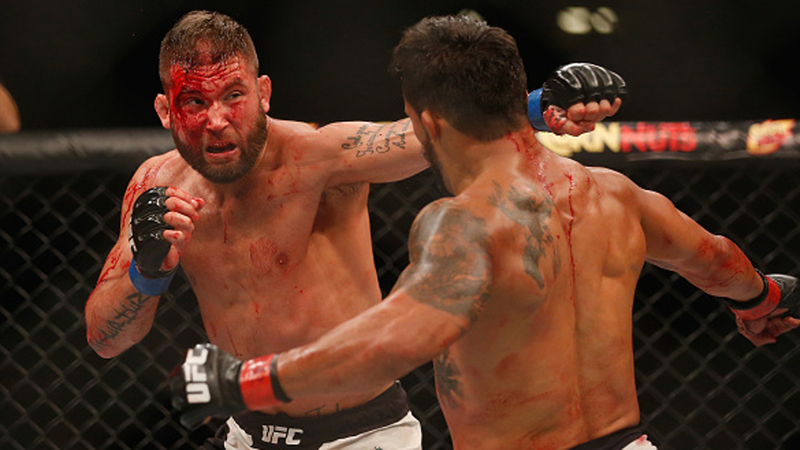 4-ranked featherweight Jeremy Stephens, who will take on former 145-pound champion and No. 2-ranked Jose Aldo on Saturday in the co-main event of UFC on Fox (8 p.m. ET) in Calgary, Alberta. Plain and simple, fans want to see fighters fight. Stephens is more than happy to do just that. On multiple occasions, Stephens has been called by the UFC on short notice to fill a fight card, and each time he has stepped up to meet the challenge. He filled in for Max Holloway at UFC 226 to face Brian Ortega. He also was scheduled to take on Frankie Edgar before the fight fell through because of an injury to Edgar. Those weren’t the only times in 2018, either. In the middle of January, the company was in need of a main event for its UFC on Fox 28 February event. Even though he had just knocked out Dooho Choi four days prior, Stephens stepped up and knocked out Josh Emmett in 95 seconds. “People cry too much in this business. This isn’t the cry business. This isn’t the hand-me-out business. This is the fight business,” Stephens said. “If you fight and win, you put the ball in your court and you’re able to do the things you want to do or get the things you want to get. For most, graduating high school comes with the intention of going college, getting an education, obtaining a degree and getting a full-time job. Stephens had a different plan. He made his professional fighting debut at age 19 on Jan. 12, 2005, when he knocked out Ted Worthington in 33 seconds. Since then, the Iowa native has gone 27-14 with 21 wins coming via stoppage, including a 15-12 record in the UFC. Aldo is regarded as the greatest featherweight mixed martial arts has ever seen and one of the best to ever put on a pair of four-ounce gloves. None of those accolades matter to the 32-year-old Stephens. He plans on stepping into the Octagon and leaving his blood, sweat and tears inside the eight sides of steel. “I honestly don’t give a damn,” Stephens said. “He’s coming to take food off my families table. I don’t care what the guy has done. He’s trying to take me out and I’m looking to paint his body on the canvas.